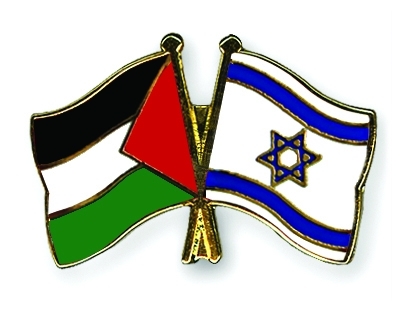 Simply Human...: Which side to support, PALESTINE or ISRAEL? Too much muttering is going on among many Indians about the Palestine Israel conflict. So many photos of dead children, burned houses, crying mothers and many more are circulating on facebook declaring their support for Palestine. Most of it insist or even plead to the Indian government to support Palestine and criticize Israel for its brutal actions. The episode that is taking place now is not at all one sided as most suggest, the Hamas are raining missiles over Israeli towns too but the reason for less or no causalities from the Israeli side is because of its counter missile systems. The Israelis are protecting their citizens while the Hamas are failing in that aspect. More than a dispute for territories, it’s a conflict between two religions and that alone gives both countries this much attention in the international level. If the religious aspect in this matter is the only criterion for a third nation to take a side, then India should side neither, first of all we already have few matter of conflict of our own to worry about and second taking a side in this case will only cause more religious tensions within the country. I don’t want to explain the details about the conflict and conclude my views, if I do that someone will definitely try to read out favoring in my lines. As far as I am concerned both sides are responsible for the state they are in now because if one takes the religion out of this madness then there won’t be a conflict at all. The question about which side deserve justice, Palestine or Israel is the same as asking which born first, the chicken or the egg, picking one is almost impossible unless a god (or religion) is involved. 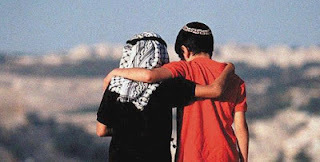 Now I will come to the main point that made me write this post, why most of my friends and many others are so interested in supporting Palestine, is it really because of the concern for human lives or is it because of one particular religion involved in it. If they say it is for the sake of human lives only, I will call them liars because few years back a brutality much worse than this happened in a small island which lies to the south of our nation, Sri Lanka (26-year military campaign ended in 2009). There was no just in the massacre that took place there and the government that did it is still ruling that country, no slogans or cries were heard from (except from the Tamil people) the now so called humanitarians at that time, is it because it wasn't a religion that was under attack there. I am not pointing fingers at any one at all, some of us do really care about people’s life and wants to put an end to all these inhuman acts but supporting one side won’t do that. Raise banners and shout slogans for peace, not for supporting and promoting more violence. Let’s support the innocent people in both Palestine and Israel who wish to live a normal life like all others. Support for a solution not for slaughter. very well observed, both the sides are equally responsible for the state they are in. Taking sides would only mean stirring a hornet's nest. Palestines anger is very justified...what if i throw u out from ur home and start living there as if it was my home.Wld u take it lying down....no...no self respecting person would. Anger is justified but how will you justify each loss of life in it. If I let someone live in my house with me and if he throws me out of my own house making it his own, then I am as responsible as he is because I let him do that. If I waste my life in the name of revenge that is understandable but what about my son and his son live for the same purpose, a solution is need not slaughter. your argument and logic is perfect. Israel been declared as a Jewish nation in 1948. its been half a century now. and who expelled them from their home? nobody! rather palis sold their land at good price and left israel. How long are they going to shut out each other, shoot at each other? How long are they going to let others stoke their feelings and weaknesses.? How long are they going to sacrifice their young? These are the thoughts that crossed my mind when I started noticing the war cries in the media. Violence from any side can not be supported. International community has to appeal to both sides to stop. As always the more powerful side should show restrain first. Perfect perspective, i meant this is how will i look at. I support neither of them since i don't know what really happened there. Great post, but this is controversial. The issues started with Palestine invading the Israeli territory on the stroke of independence and the division of the state. In that historic session of United Nations, only India and Cuba voted against the partition among non Arab states. This is 1949 that I am talking about. But since then the conflict has definitely escalated. Israel needs to show some maturity in handling the issue, and shelling the Gaza is not the correct approach..
Great post Rahul.I liked the concluding lines which says that we need to support the innocent people from both the countries.